RATON – New Mexico Department of Game and Fish invites hunters and wildlife enthusiasts in the Raton area to give comments on several big-game hunting rules during a public meeting at 6 p.m. April 16 at the New Mexico Department of Game and Fish office, 215 York Canyon Road. Participants are asked to bring their questions, concerns and ideas. The department is seeking public input about proposed hunting rules for Barbary sheep, bighorn sheep, deer, elk, ibex, javelina, pronghorn and oryx. The department also is seeking input for turkey and migratory game bird hunting rules. Times and locations of meetings, as well as rule development schedules for the various species are posted on the department website. The department reviews and revises hunting rules every four years. Public involvement is invaluable, and ensures diverse perspectives will help influence rules and license numbers of hunting seasons for 2015 through 2019. 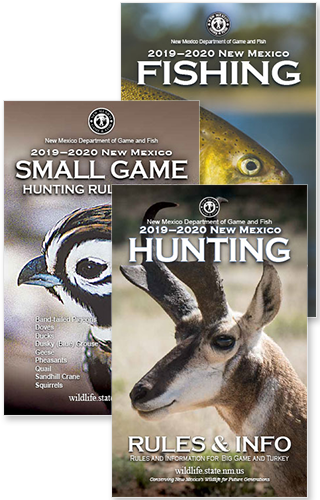 Proposed adjustments to the rules are available for public review on the department website, www.wildlife.state.nm.us, by clicking on the “public comments” tab. Public comments, along with biological information, management goals and harvest and survey data will be considered by the State Game Commission when finalizing the rules later this year.